The up to one-kilometre-long glacier cross-country ski track is located on the glacier plateau in 2.900 m above sea level. The meeting point for all Nordic fans in autumn and early winter as well as in spring as soon as the cross-country tracks in the valley close. 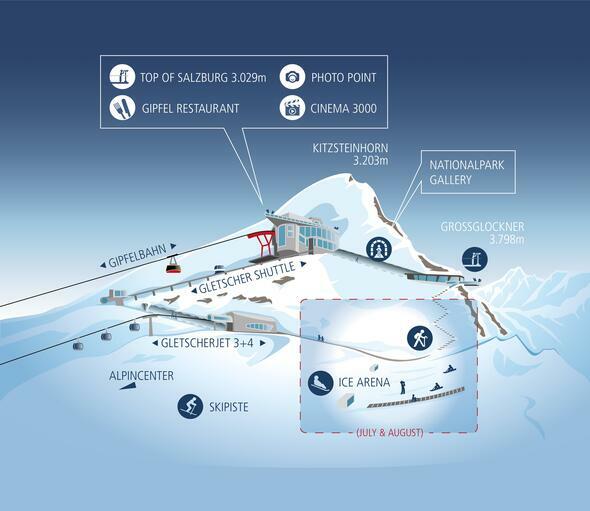 Skis, boots and sticks: The hire sets of the Skidome 2 Kitz Sport Shop offer the full package.